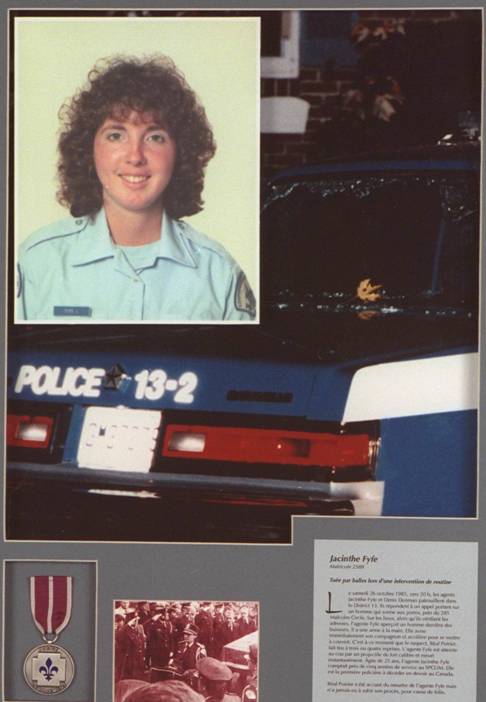 Today in 1985, Montreal policewoman Jacinthe Fyfe, who was a 5 year veteran of the force and only 25, became the first female constable in Canada to be killed while on duty. Constable Fyfe was called to investigate a complaint of a man with a rifle attempting to force his way into a home. As she and her partner drove down the street, a man started shooting from the bushes and the bullets hit the police car. Cst. Fyfe lost control of the car and crashed into a tree. She was found with a bullet wound in the back of the head and had died instantly.